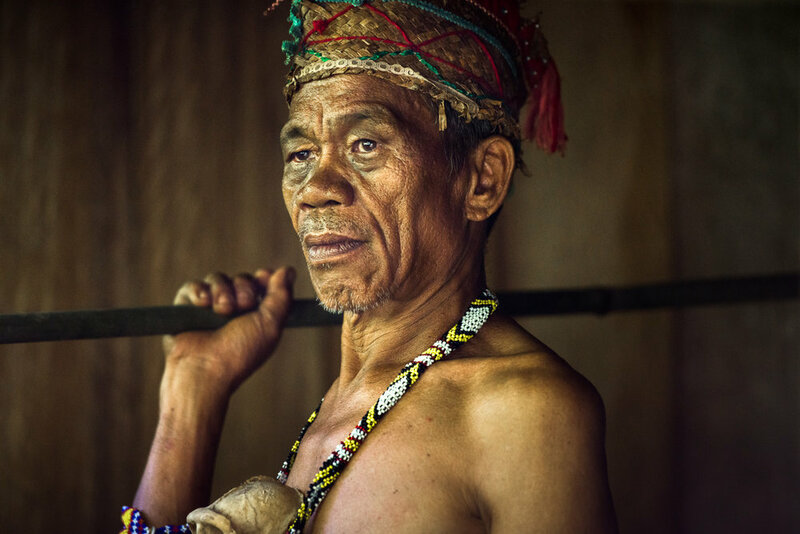 Owing to his close affinity with the spirit world, his ancestors, his ancestral domain and Mother Nature, Datu Doming Tumaytay is adept in identifying medicinal and other important plants he has been familiar with since childhood. The tribal chief from Sto. Tomas, Davao del Norte in southern Philippines can identify certain herbs and trees, which, he says, can be tapped to treat certain ailments. “There are plants or trees, which can treat diarrhea, nervousness, hypertension, and sexual impotency,” he said. Conchita Tandica, a balyan or priestess and healer, is also as knowledgeable about what plants can help address various health problems. And her knowledge goes beyond her physical environment. “Medicinal plants are revealed to me through dreams,” said the 75-year old healer from Maduao, Concepcion, Maco, Compostela Valley province. Tumaytay and Tandica were among 66 participants of a workshop where they shared their experiences on traditional governance and how they have protected and conserved what they considered as sacred sites. The 22-25 October 2012 workshop held in Maduao village was jointly organized by the Tagum City-based Sildap, a non-government organization promoting indigenous rights and indigenous education, and Tebtebba, a Baguio City-based global indigenous institution dealing with indigenous peoples’ issues and concerns. Through the workshop, the participants shared their cosmology, spirituality and worldview, which recognize the interconnection between their lands and forests and the whole cosmos. For example, indigenous elders believe that spirits are guiding people to know which herbs or plants can treat an ailment. And some people, like balyan Tandica, are specially gifted for this, according to Datu Ernesto Sarahan of Davao City, who belongs to the Matigsalog tribe. “Without the spirit’s guidance, a certain herb or plant will have no medicinal effect,” he said. Since they have to relate or commune with the spirits, indigenous peoples have evolved worship rituals. “Traditional knowledge is transferred through these rituals,” said young Matigsalog elder Oscar Sarahan. To ensure that worship rituals and accompanying belief systems are transmitted, every indigenous community has a balyan or traditional priest or priestess. Through listening and participating in the rituals, young community members get to learn these rituals and appreciate their significance. These rituals include prayers and chants. Interestingly, these prayers and chants contain epics, legends and stories, which embody a community’s whole belief and knowledge systems and history. But for these rituals and belief and knowledge systems to continue to be transmitted, indigenous territories, according to elders, should remain under indigenous peoples’ full control. Forest Monitor, a UK-based independent policy research group, reported that from the 1950s to the 1960s, transnational companies had virtually denuded many forested areas with catastrophic effects on the local population such as flooding. Logging, both legal and illegal, continues up to now, according to indigenous leaders. “In many indigenous communities, some allow logging in their territories in exchange for a P50,000-(US$980) motorcycle,” said Nestor Calig-onan Masinaring of the provincial environment regional office in Davao del Norte. People of Mindanao acknowledge that unbridled mining and logging activities were behind serious disasters in recent years. They cite the 2011 pre-Christmas floods and landslides that killed scores of people and left hundreds missing in Cagayan de Oro during a strong typhoon. On religion, the first Roman Catholic missionaries to Mindanao had discredited the indigenous peoples’ traditional worship rites and their balyan, said Sarahan. But after the 1962 to 1965 Second Vatican Council known as Vatican II and as a result of the Catholic Bishops Second Plenary Council (PCP II), the Catholic leadership changed its evangelism approach, noted Justino Cabazares Jr, a board member of Sildap. Vatican II addressed relations between the Catholic Church and the modern world. The January 17 to February 20, 1991 PCP II, among other things, stressed on “enculturation,” which Cabazares said was significant as the Catholic Church recognized the role of Filipino and indigenous values in helping enrich Christian or Gospel values. In fact, Ponciano Tandica—an elder in Maduao, Concepcion in Maco town, Compostela Valley Province—acknowledged how some Catholic priests and bishops have helped unite and settle conflicts between and among Mindanao’s lumad or indigenous peoples in recent years. Given all these “threats and challenges,” the workshop participants suggested some “ways forward” about how to regain their threatened tradition and culture. “We should re-popularize our own languages, which hold the key to understanding the nuance and meaning of our own culture,” said Rocky Valderama, a young Igongot leader from Aurora province, one five participants from Luzon. The Igongot community, he said, had just established a “school of living tradition” (a community-based informal school) where children and youth can learn traditional dances, chants, musical instruments, local craft making, and epics and stories from elders. For his part, Leticio Datuwata, an aide to a timuay or tribal chief in South Upi, Maguindanao, stressed on the documentation of the Teduray peoples’ justice and conflict-resolution system, healing approaches, and worship rites, a program which he said has already begun. “We have also been organizing summer youth camps and exposure training programs, where our young people can rediscover our rich tradition and cultural heritage,” he said. 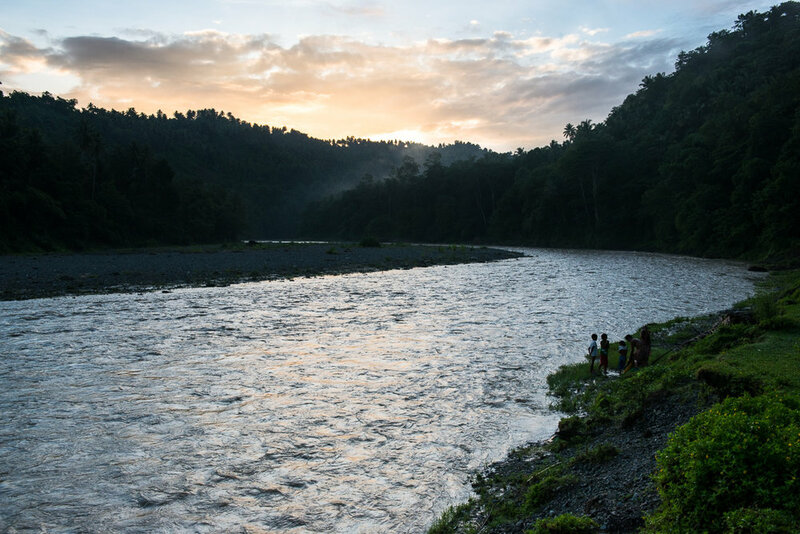 On the threats of mining and logging, indigenous leaders said it was time to put their local governance systems into play. For example, Datuwata cited the Teduray timuay justice and governance system, which, among other things, has a set of penalty and sanctions for those who encroach on the tribe’s ancestral domain and abuse the tribe’s resources. Participants also considered strengthening the role of mandatory indigenous representatives in local government units, particularly in the area of land and forest resource management and protection. After being briefed by officials of the Department and Interior Local Government and the National Commission on Indigenous Peoples on the role of mandatory indigenous representatives in local governments as mandated by the Indigenous Peoples’ Rights Act, the workshop participants also saw this as an opportunity to help empower them. Visit the link to download a PDF of this piece.